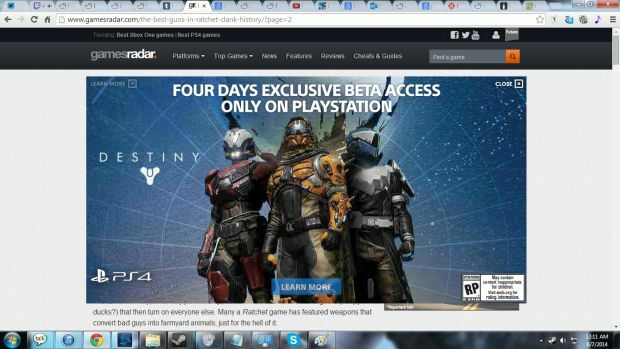 We have an interesting rumor on our hands here, as a image briefly appeared on the Greatness Awaits PS4 page which indicated that the Playstation platform will be getting access to the Destiny beta a few days before Xbox owners. This image was later removed, but a sharp eyed Reddit user helpfully grabbed a screen cap of it before it was removed. Obviously this is definitely a rumor at this stage, and until Bungie confirm or deny this we should take this with the usual prescribed pinch of salt. It’s not too far fatched that the PS4 and PS3 will get a slice of early access, especially as it’s only for a few days. Of course we have seen similar things on both platforms with games such as Skyrim (with Dawnguard being Xbox 360 only for the longest time) and Assassin’s Creed often having PS4 exclusive content. Let us know what you think on our Facebook and Twitter pages.